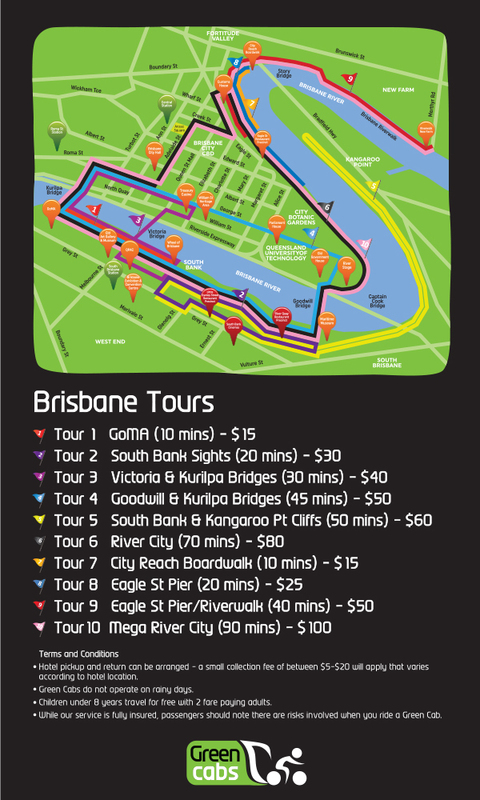 Our tours can show you Brisbane’s best sights. Tours can start from any rank or maybe you prefer a hotel pick-up. If you want to enjoy a tour please complete the booking form below. During the weekend days our cabs are based at South Bank at the Wheel of Brisbane. On Friday and Saturday nights, you will find Green Cabs at South Bank (till 10pm) and throughout the city centre, including at our rank at Fridays in Eagle St.